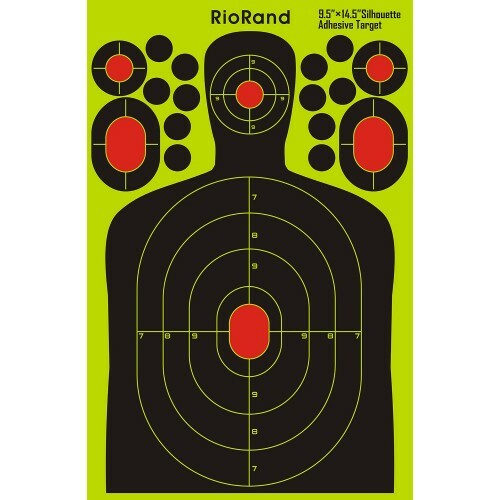 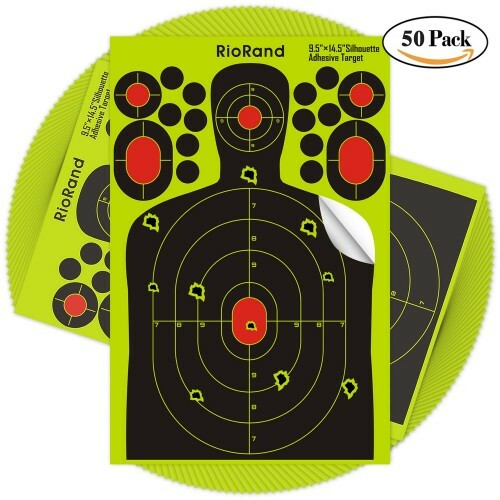 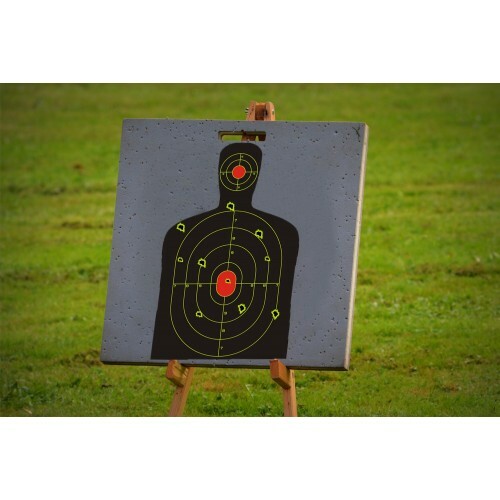 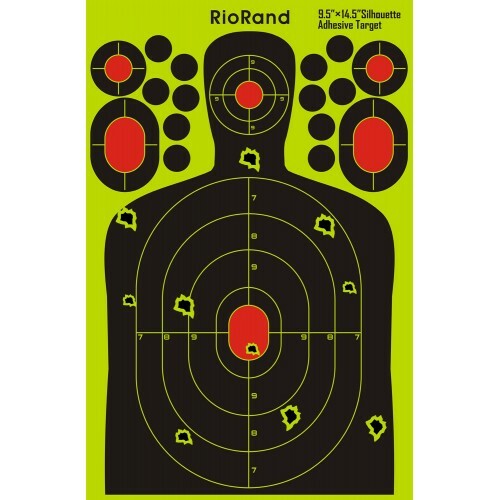 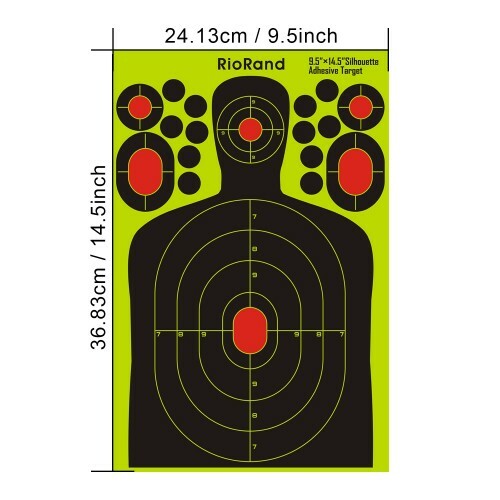 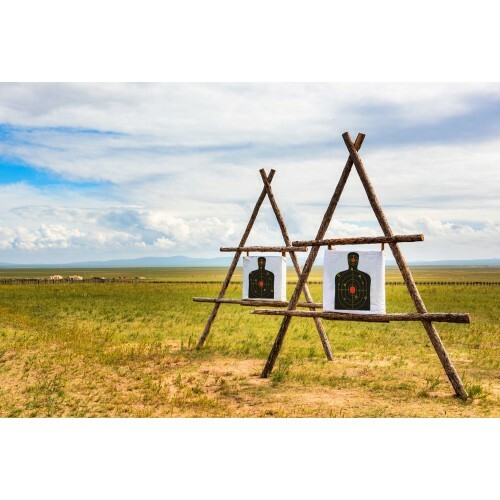 RioRand Gun Paper Shooting Blast Targets are excellent for target practice, shooting competitions, s..
RioRand Gun Paper Shooting Blast Targets are excellent for target practice, shooting competitions, self defense and concealed carry training. 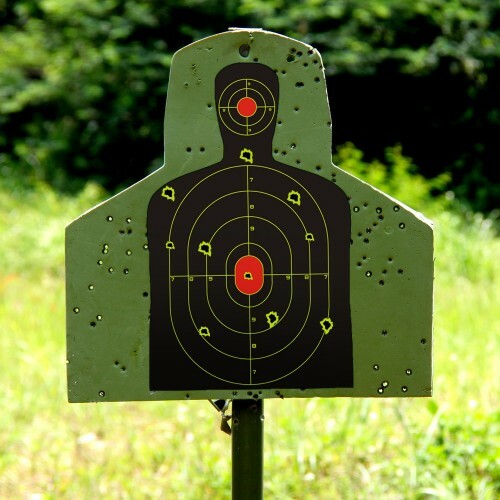 The bright yellow bullet holes are visible in all light conditions without the aid of binoculars or spotting scopes, great for people with reduced vision. 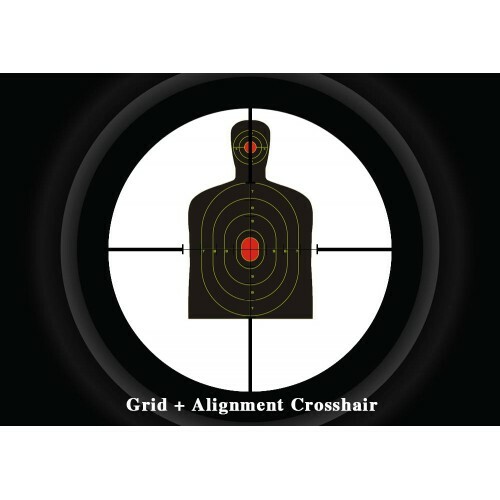 Spend more time shooting and less time checking your target. 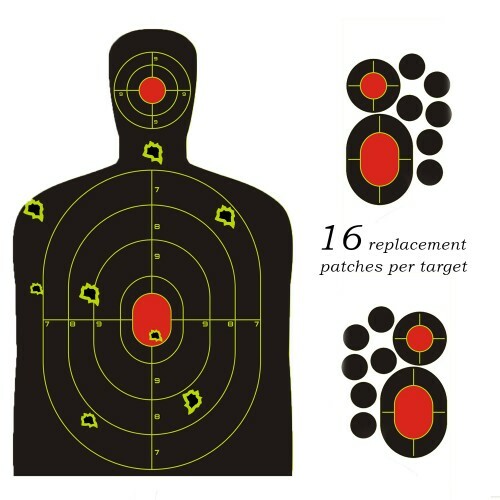 The splatter reactive targets can be more durable and resistant to pay.In the same product, the number of patches is more, and the price is affordable.Simply peel and stick our patches over the existing bullet holes to repair and then shoot again.Made of heavy duty non-adhesive tag board, they withstand shot after shot.